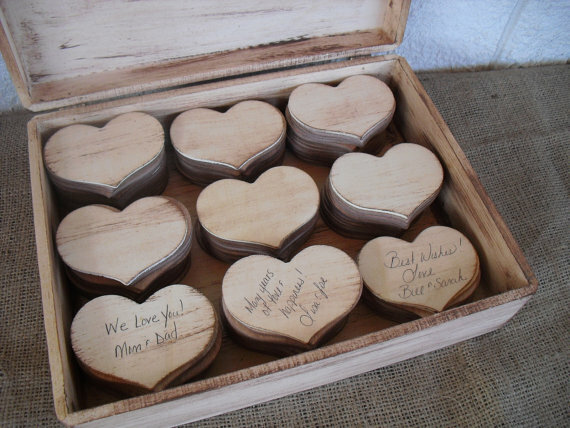 Before we begin, what is a guest book box? 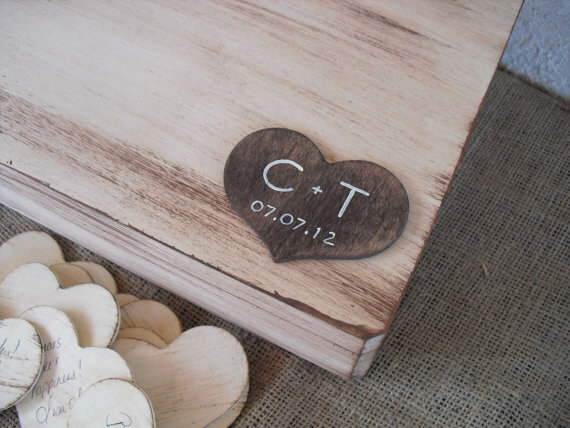 A guest book box is simply a box filled with a material onto which guests can write his or her name. 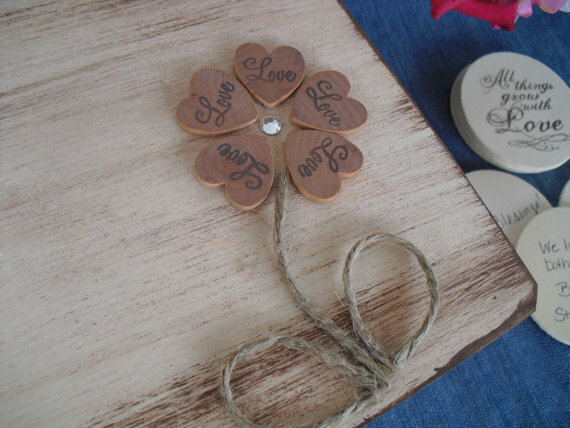 While the idea is simple, not all guest book boxes are created the same. 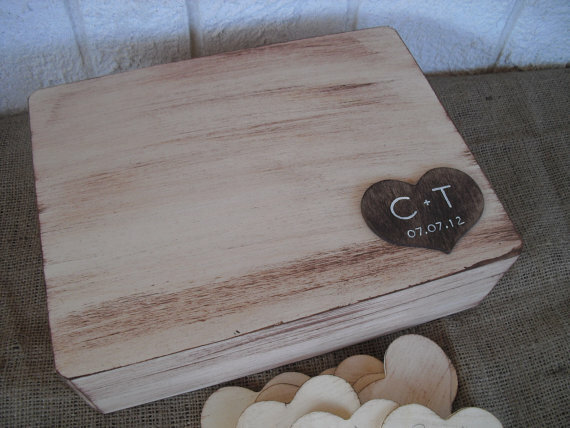 For instance, this beautiful guest book box collection by Dazzling Expressions incorporates handmade wedding charm at its finest with a shabby chic distressed wooden box and sweet wooden hearts inside, with your initials personalized on the top of the box. A guest book box is a brilliant alternative because it helps to break the ice at reception tables (you’ll see guests laughing and chatting about words of wisdom he or she is planning to write) and will look great in your love nest after the wedding! Love this idea? 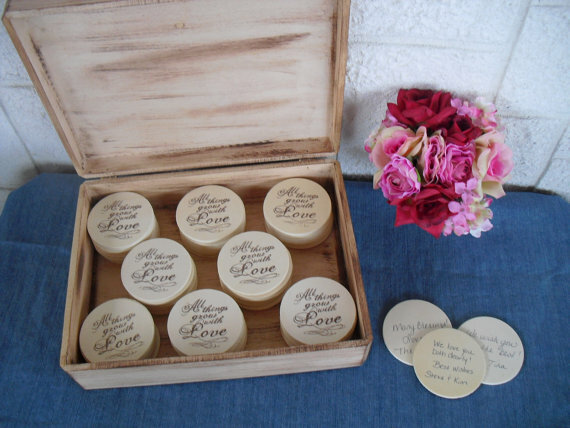 Visit Dazzling Expressions, featured artisan in The Marketplace for more details + to place an order for your wedding! e book on this subject matter and your blog post has made alll of us to save oour own money. Your ideas really responded all oour issues. In fact, over what we had recognized previous to the time we came across your fantastic blog. These are a pretty cool idea. I can only imagine all the ideas of using this as a decoration in the home after the wedding. Neat!